For Weddings, Civil Ceremonies, Business Functions, Civic Events, Charity Events, Masonic Ladies Nights. 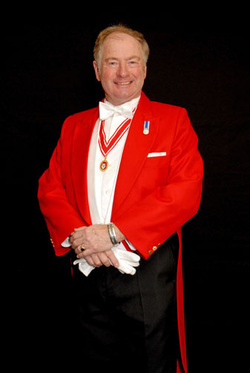 Robert, a professional Toastmaster from the heart of Kent covering the South East Area and the fringes of London. A true professional with every sense of the word, carrying out his duties in the true British heritage and typical quintessential tradition. What ever your function he will guide you through every stage of the proceedings, his organisation will be first class.